The Total of all this adds up to 4,320,000 years (or 10 Kali Yugas). And that is what is generally taken to be a complete cycle of the Yugas. 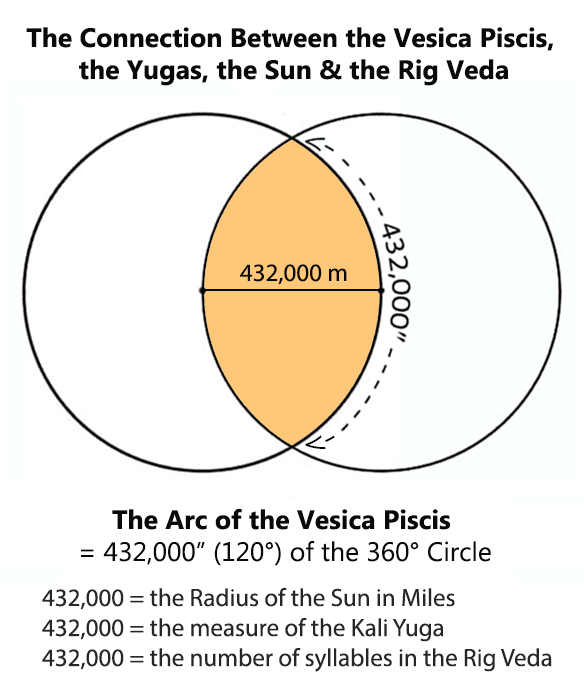 What Mata Patrizia is suggesting is that the figure of the Kali Yuga 432,000 (also the radius of the Sun) is the measurement that needs to be first understood in arcseconds. From that re-adjustment in seeing, everything else becomes clear. Then the Kali Yuga is seen as 120 degrees of the circle - one third or 120 degrees of the Precession of the Equinoxes (or 4 Astrological Ages). With this adjustment, the Kali Yuga needs to be seen as a Unit... like the number ONE is a unit in the circle of NINE numbers (as in the Enneagram and as portrayed in Mata Patrizia's Gnostic Circle - see http://aeongroup.com/gc.htm). When one adds up 1 + 2 + 3 + 4, one gets the figure 10. But if one understands the Laws of the Circle, by which the Circle is equivalent to NINE (not 10), then one understands that it is 2 + 3 + 4 Yugas that must be the calculation of the Cycle. 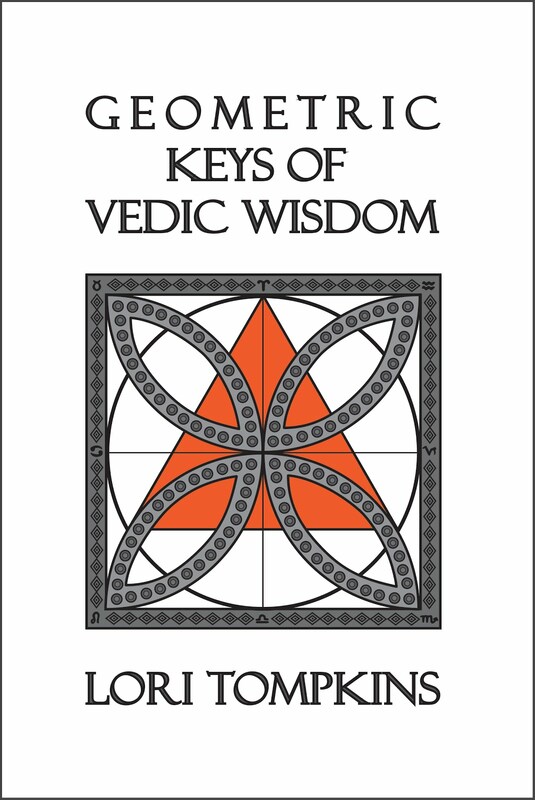 This knowledge is contained in the 432,000 figure itself. There is no ONE in the figure. There is only the 2 the 3 and the 4 accompanied by three ZEROS's. The reason you have come up with 3 and 1/3 revolutions (Precessions) in your calculations, is that you have not 'seen' yet that the Kali Yuga functions as a 'Hidden One.' When you understand that, I think everything will fall into place. Then one sees that the system of the Yugas are describing THREE Precessions or 3 x 25,920 years. Does this make any sense to you? It's all about understanding the language of the Circle. Its language is 9. Its 9 Integers are One Unit each. Please let me know if there is anyway I can assist your comprehension in these matters. 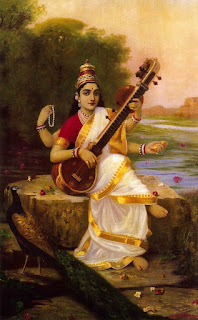 From PNB's The Gnostic Circle (1975): 'Since the Kaliyuga is only the measurement, we begin the count of the Yugas with Dwapara, two times Kali, 864,000; after this we pass into Treta, three measures of Time; then Satya, four measures. There are then the numbers 4, 3, and 2, which are the very digits of the kali measurement: 432,000. They are, as well, the most important numbers in the structure of symbols: 2 equals the Line, 3 equals the Triangle, and 4 equals the Square. With these it is possible to construct the zodiac because 2, or the Line, is the division of feminine and masculine signs, 3, the Triangle, represents the energy flows of Creation, Preservation and Destruction (Cardinal, Fixed and Mutable), and 4, or the Square, is the division of the elements, Fire, Earth, Air and Water. Therefore these numbers, 4-3-2, are the basic numbers of the Zodiac, as well as the measure of Time, and the zodiac is in effect the Great Timepiece; 4 + 3 + 2 equal 9, the number that absorbs all others. From "Simultaneity, Destiny and ‘The Magical Carousel’" (2007) [LINK to full article]: 'Because of the development the Earth herself has experienced, spread over hundreds of thousands of years, the moment has arrived of what I have all along described as the Great Birth. We are in the 9th Manifestation in a cycle of 311,040 years, each Manifestation of which (6480 years) is equivalent to one month of human gestation repeated four times to cover all four planes of being (4 x 77,760). At this very special crossroads of destiny the Child nurtured for this sacred happening emerges from its protective sac as an independent entity. It too takes its first breath.